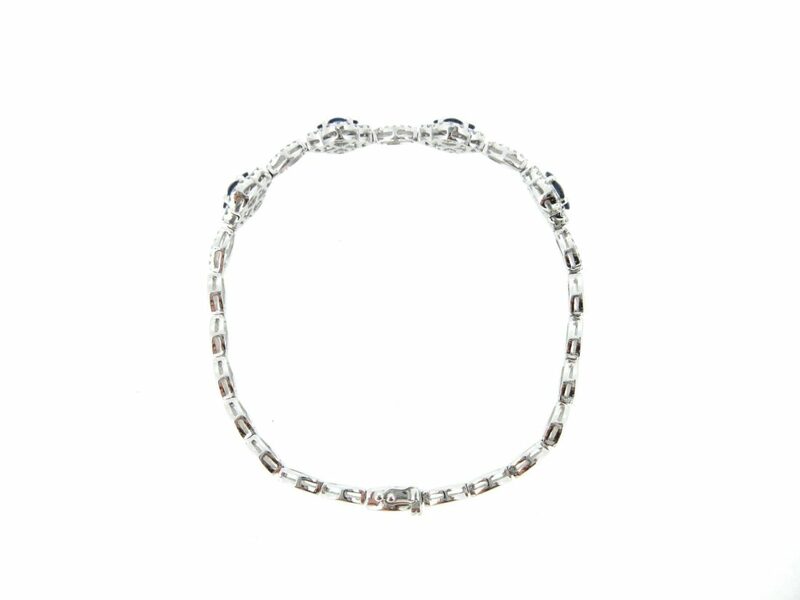 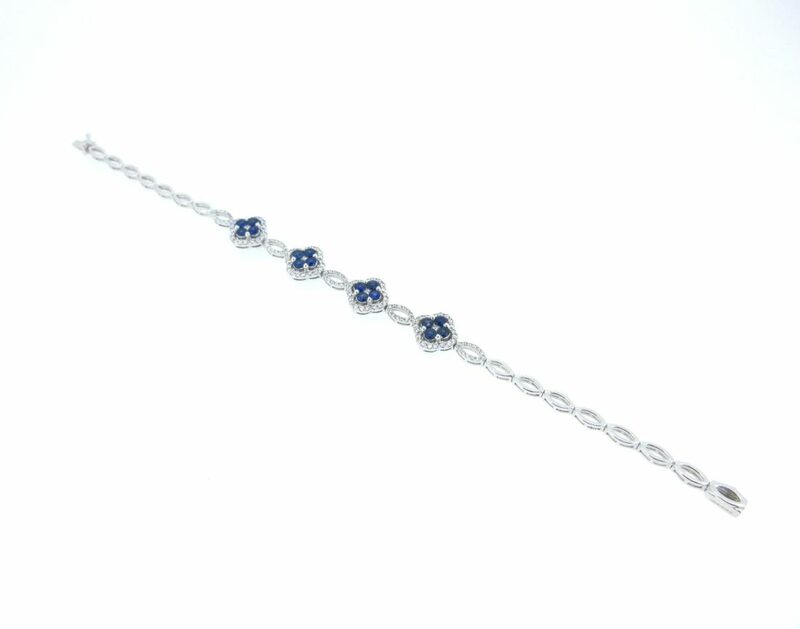 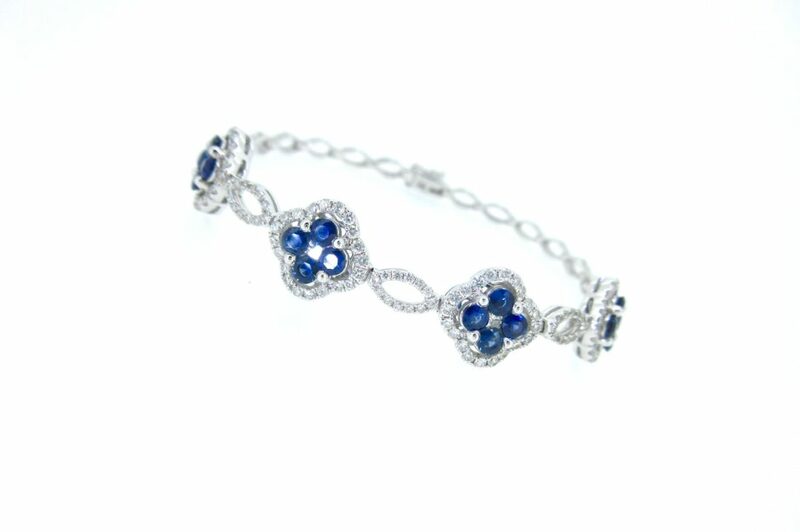 18ct white gold sapphire and diamond daisy cluster bracelet. 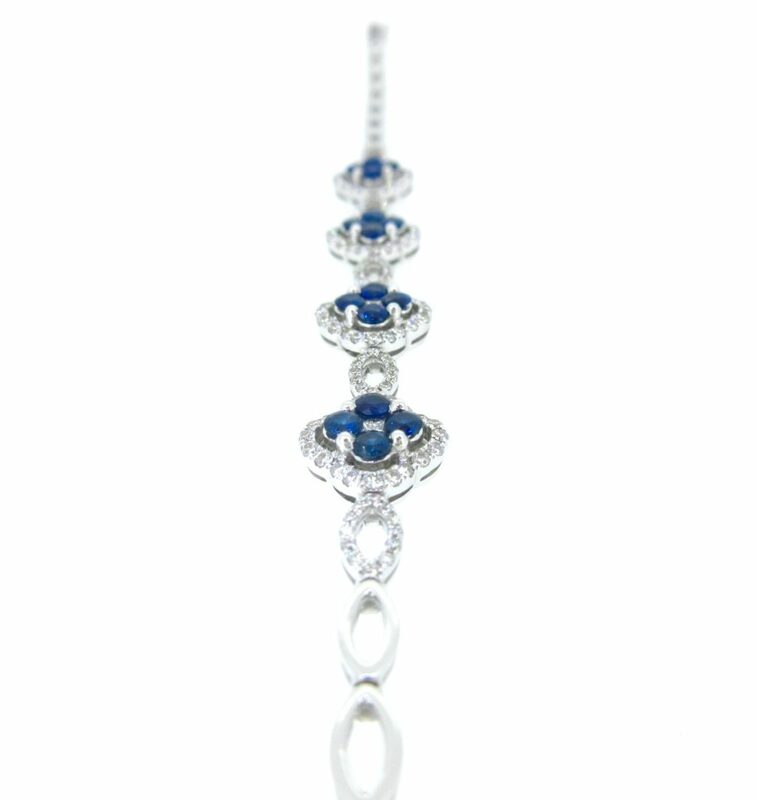 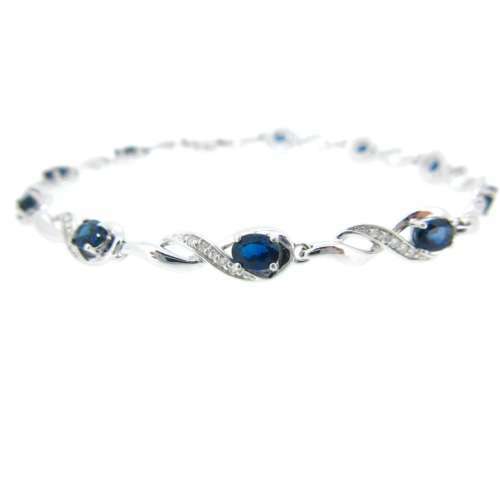 The blue sapphires look stunning on the white gold and diamond setting. 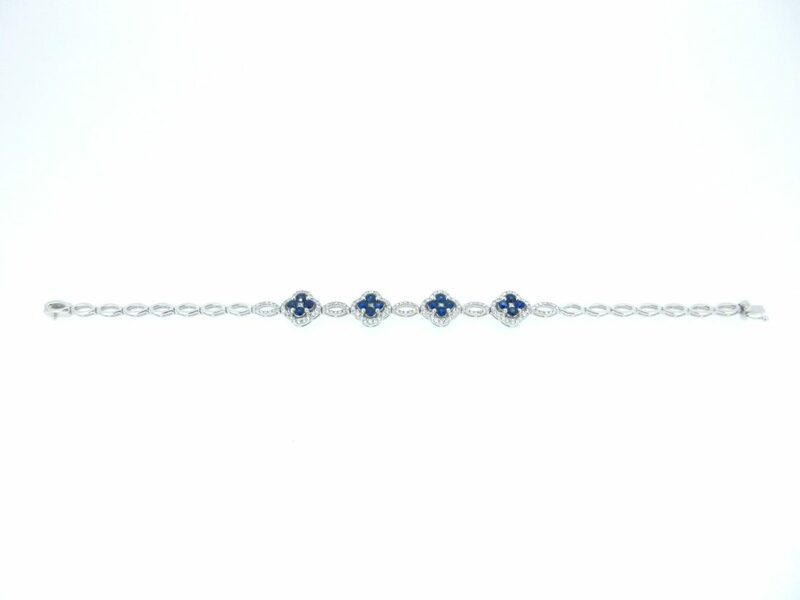 Total diamond content is 2.85cts.